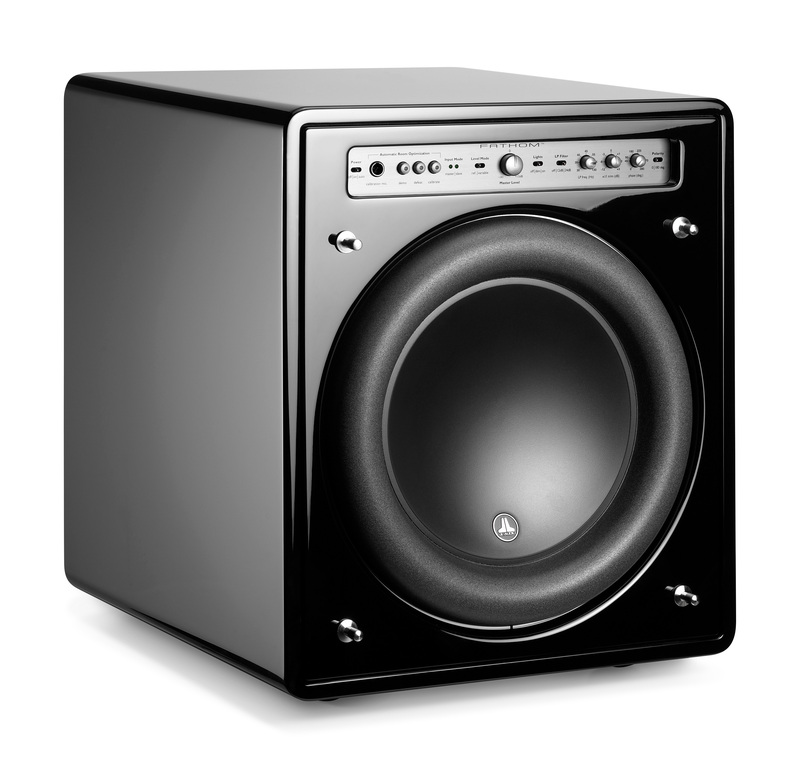 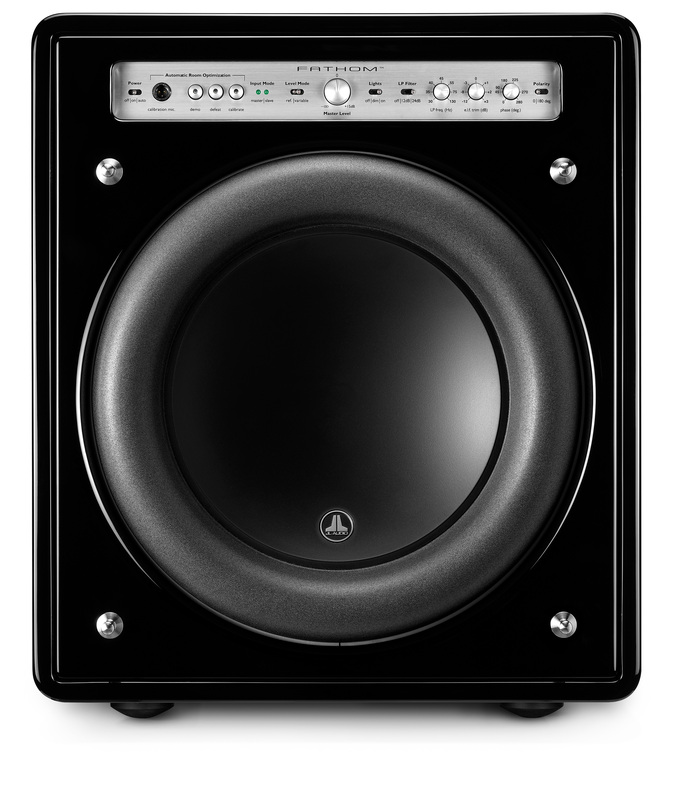 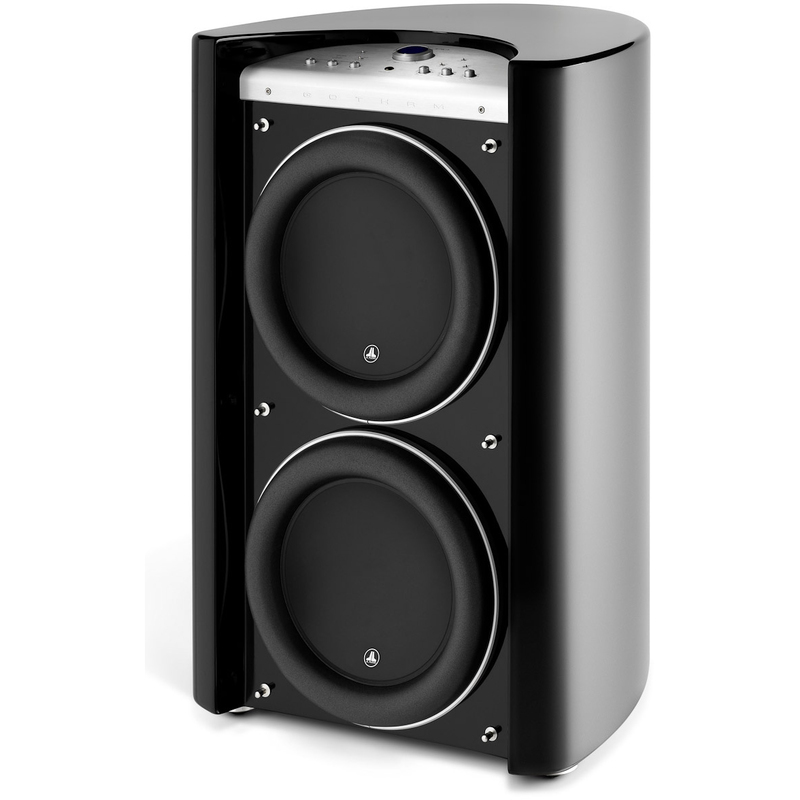 The challenges associated with designing high-output, compact subwoofer systems can be daunting. 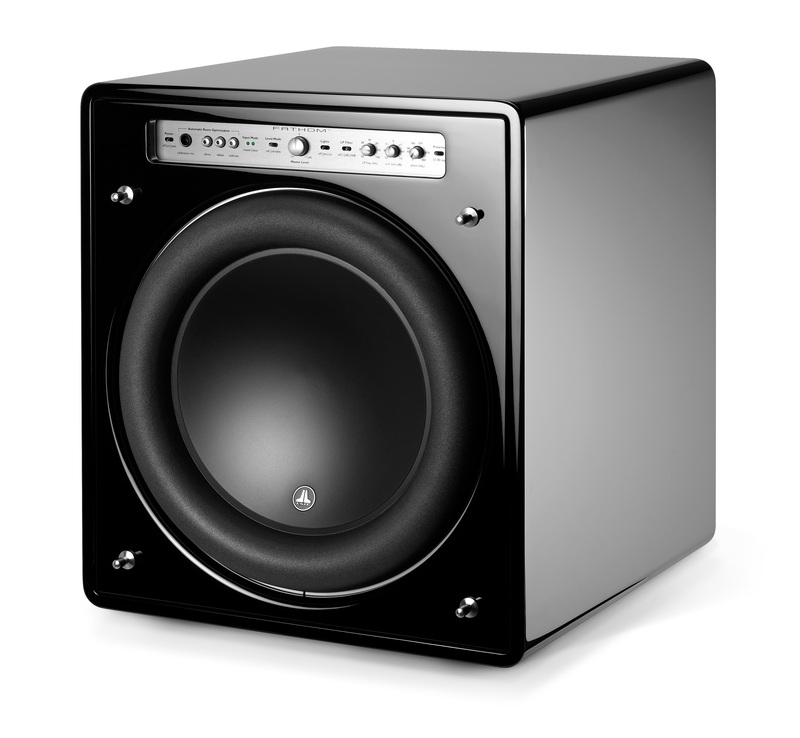 In most cases, designers sacrifice low-frequency extension or output capability in order to keep a design acceptably small. 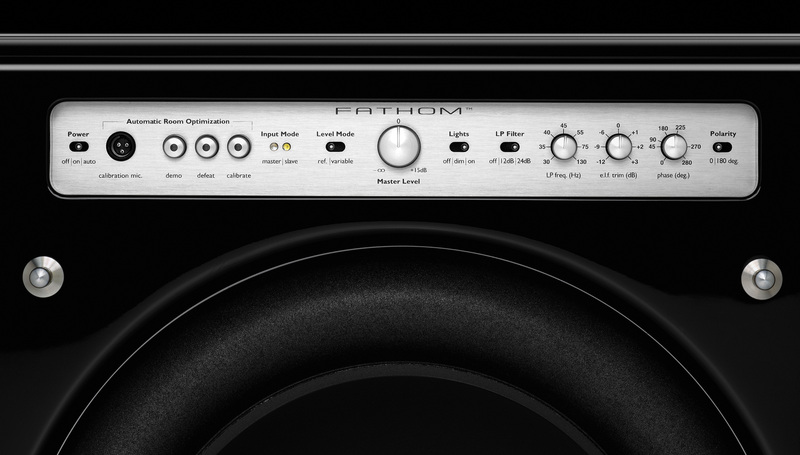 The Fathom® subwoofers sacrifice nothing, thanks to the dynamic advantages of their proprietary JL Audio drivers. 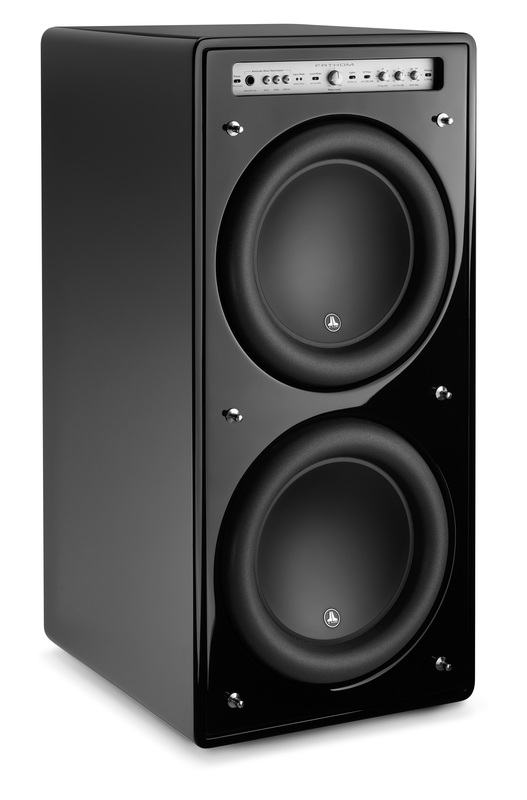 These exceptional woofers allow for a true subwoofer passband and very high output, while keeping distortion well below audible thresholds. 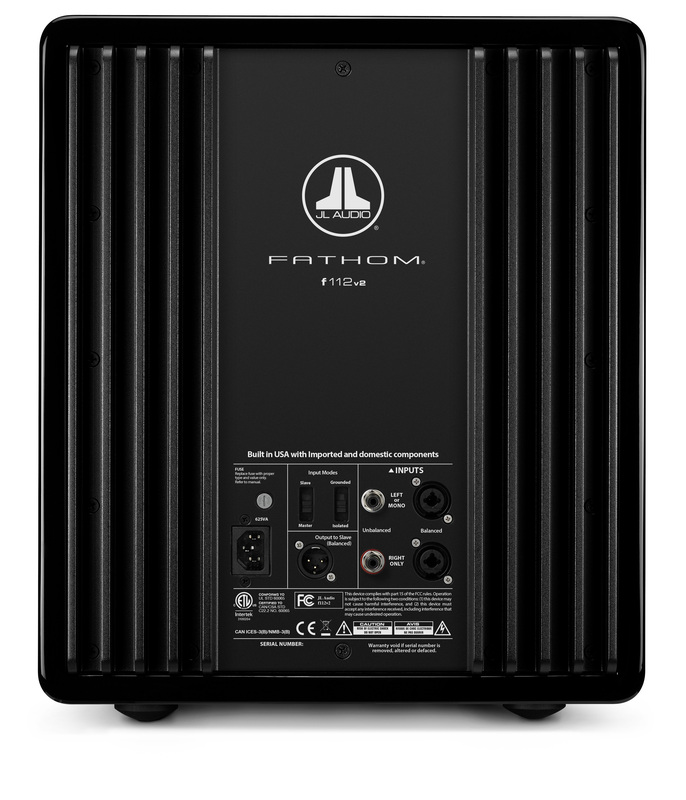 To extract full benefit from the excursion envelope of its woofer design, each Fathom® employs an uncommonly powerful switching amplifier with a large toroidal transformer and a patented circuit, designed to enhance control and fidelity. 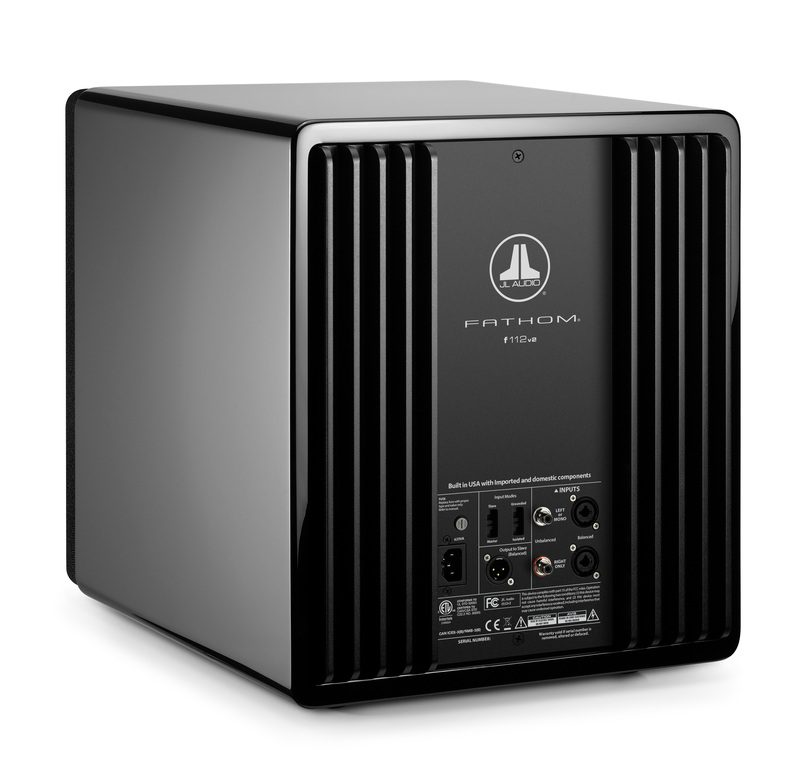 The compact design and conventional form factor of the Fathoms apply beautifully to most home theater applications, including built-in designs. 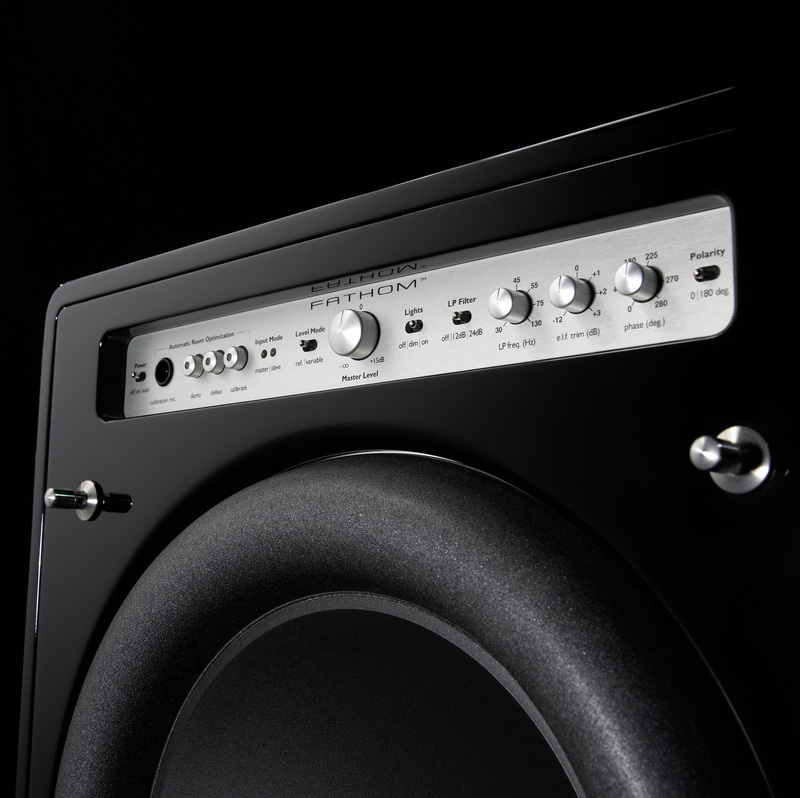 Front-mounted controls make them comfortable to set up and adjust, while JL Audio’s powerful DSP engine and exclusive Digital Automatic Room Optimization makes sure that response is smooth, even in challenging rooms. 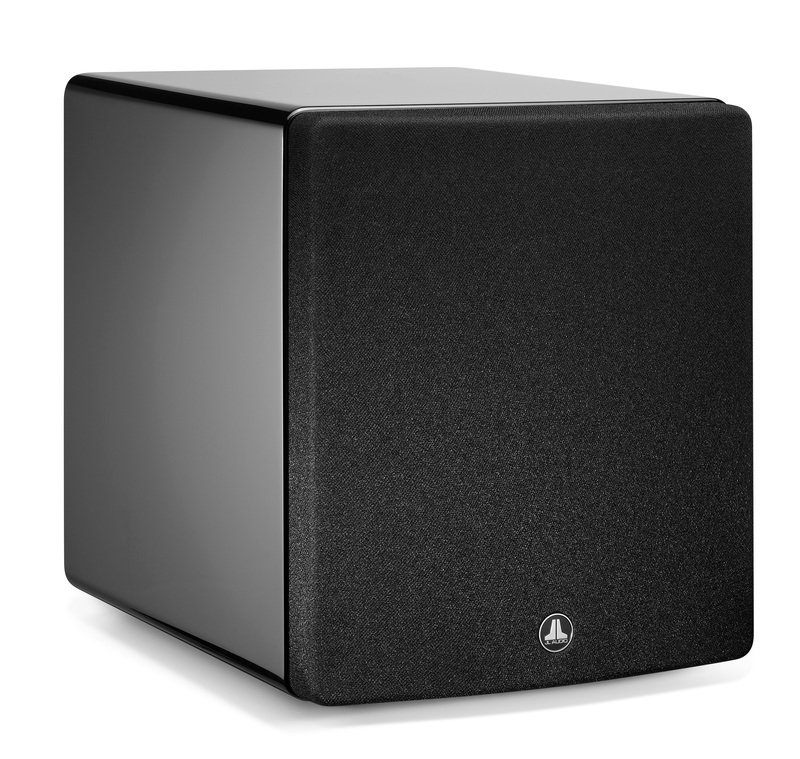 While very compact, the f112v2 is powerful enough to anchor serious home theater setups and is equally at home in the most critical music listening applications. 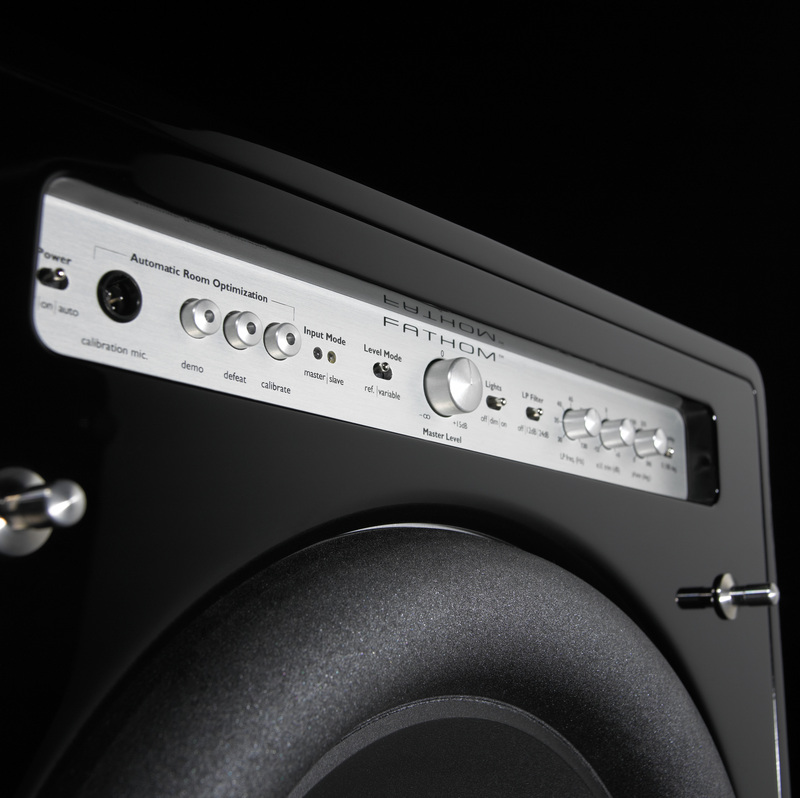 For that very reason, it is used in some of the best recording and mastering studios in the world.